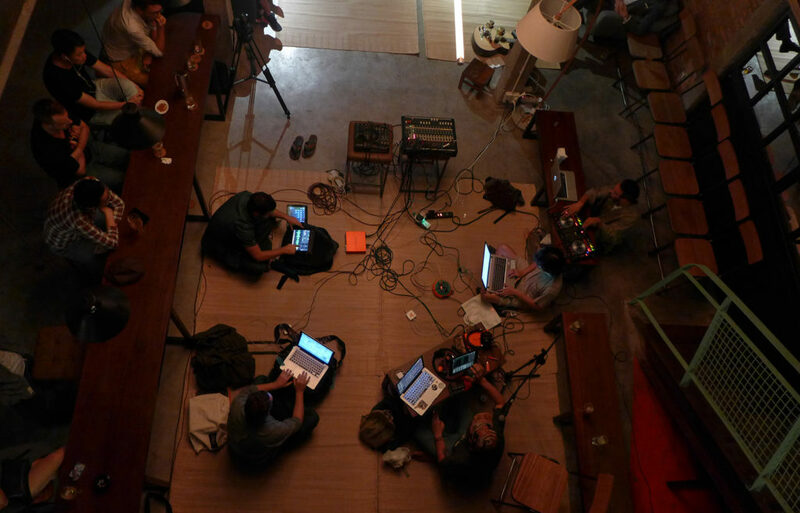 MoT # 1 is the first event from Vietnam’s first ever project dedicated solely to experimental sound performance. The project seeks to expand interpretations of sound art through mediums such as recordings, performance, and sculpture. The show started with a sound installation by Nic Ford, a multimedia and electronic music artist responsible for the project ‘MadderModes‘ and Andrew Piggott, a filmmaker. Followed by a performance by Cam Xanh and then a solo by sound artist Scobi Wan. A sound conversation, directed by Nic Ford, together with other artists and producers: Sonar Lee, MadderModes, Kin, Scobi Wan, Fad Plastic introduced how sounds find and connect with each other through improvisational performance.